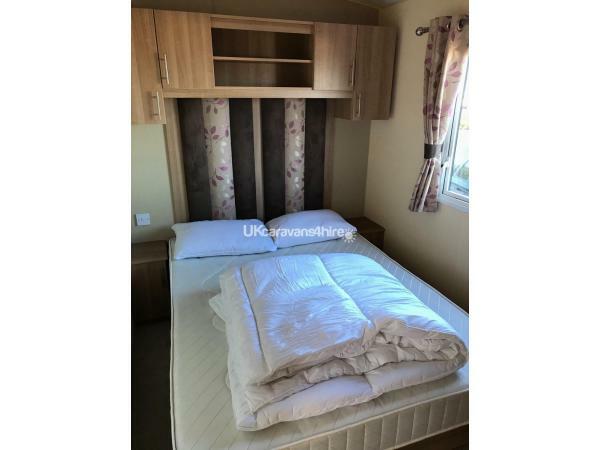 Our 8 berth caravan Dyfed 35 comprising of one double bedroom, two twin bedrooms and a sofa bed in the living room area. There is a family bathroom with w/c, basin and large shower unit and also a separate w/c with basin. Large living room with comfy seating all the way around with tv, dvd player. selection of dvds, games and wii console for rainy or lazy days. A dining area, fully equipped kitchen with full sized intergrated fridge / freezer, cooker, kettle, toaster, iron, hoover this really is a home from home! Well behaved, housetrained pets are welcome as we understand that they are a huge part of the family and love a holiday just as much as we do. We do not charge extra for pets but would just ask you to let us know how many you will be bringing (maximum of 2) and also the breed. 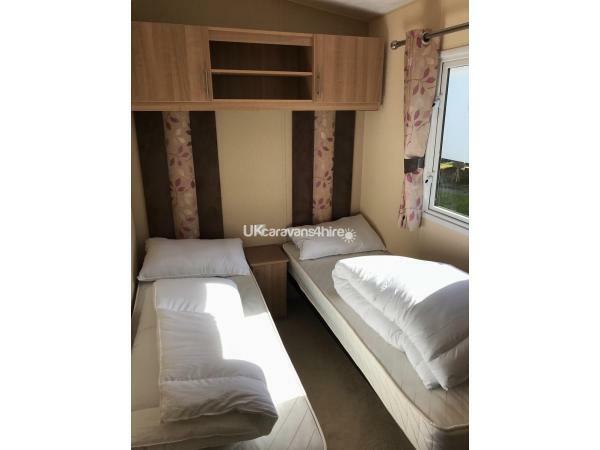 The caravan is deep cleaned after each visit as this is our family caravan and we will be using it throughout the season too, for that reason we would ask that you respect it by not allowing your pets on the furniture or in the bedrooms/beds or left unattended. Please clean dirty paws and remove dirty footwear before entering. 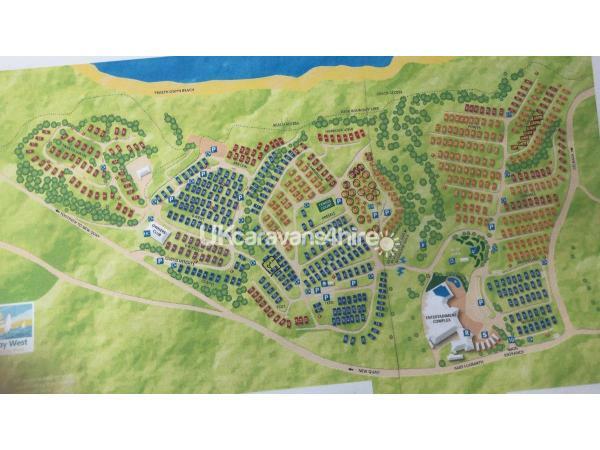 Caravans must be vacated by 10am on the day of departure and available from 3pm on arrival day unless previously arranged with us. Parking is available for one car on the tarmac drive in front of the caravan, please do not park on the grassed area or restricting traffic, overflow car parks are available for addition cars. *LINEN NOT INCLUDED * Duvets and pillows are provided but you would need to bring your own linen i.e pillow cases, duvet covers, towels, tea towels, etc. 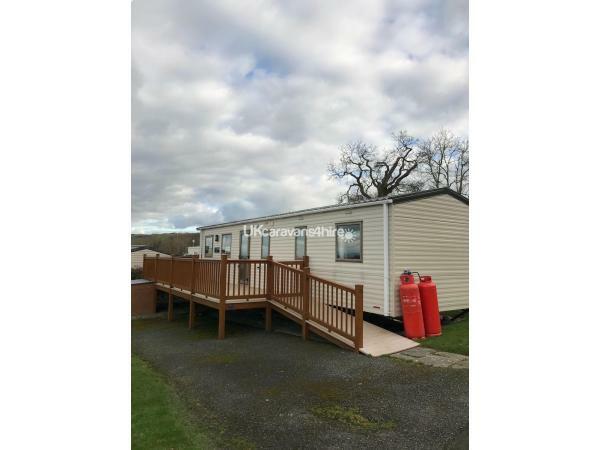 There is a large gated decking area attached to the caravan, accessible by a ramp with patio furniture for you to sit outside and take in the sea views. Absolutely NO SMOKING in the caravan or on the decking area. The damage bond will only be refunded after inspection of the caravan, please leave our caravan in the same condition as you found it. If you have any questions do not hesitate to contact me via email or phone. We look forward to hearing from you.........Happy holidays! 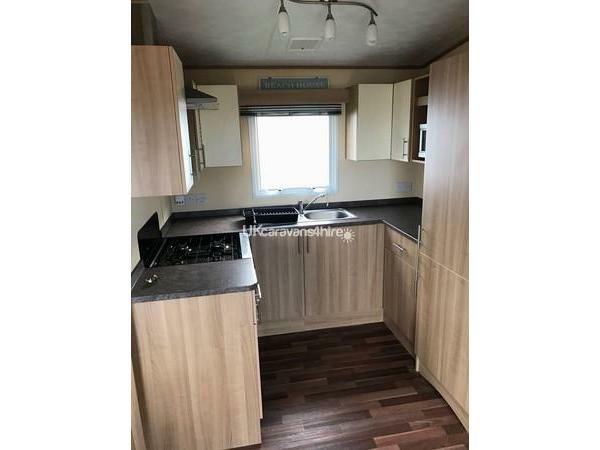 Beautiful clean caravan with everything you need at hand. Stunning sea view from the spacious decking. Very dog friendly and the beaches are beautiful. Thank you to Kelly for telling us the best of what’s on and suggesting places to eat. Would highly recommend!